“The world has had to say goodbye to a creative force like no other; I have had to say goodbye to my alien friend, who one day, unexpectedly, landed his spaceship in my backyard and took me on the ride of a lifetime…” Read more from Gail Ann Dorsey’s moving tribute to David Bowie in The Guardian. Check out Gracie and Rachel’s a cappella choral arrangement of Kreayshawn’s “Gucci Gucci,” premiering on SF Weekly here. An all-star cast of former David Bowie band members, including Gail Ann Dorsey, will pay tribute to him at Terminal 5 in NYC on the one-year anniversary of his death. Read more in Billboard. 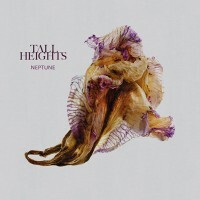 Congratulations to Tall Heights on the release of their major label debut, Neptune, via Sony Masterworks!